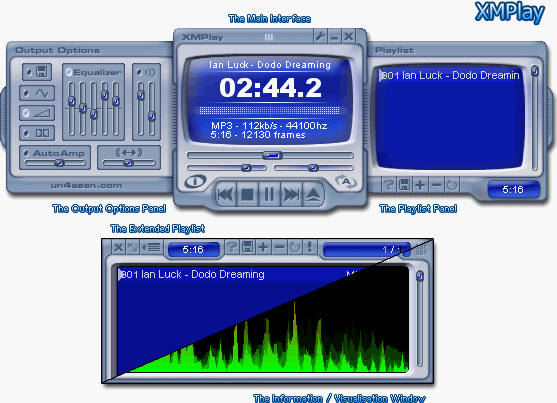 XMPlay is a skinnable audio player that plays all major audio formats and includes gapless playback, effects, equalizer, net streaming. More features are available using plugins, including visualizations, more format support, cover art and more. Note that the library and playlist will not work as you change PCs. Can play MP3, WMA, M4A, OGG and more, as well as output to WAV, MP3 OGG etc. (via external encoders). Alternatively, XMPlay is natively portable but does not automatically adjust library and playlist paths: download the ZIP package, extract to a folder of your choice and launch xmplay.exe. Also, you can always download the "Latest stuff" version. How to extract: Download the self-extracting EXE to a folder of your choice. Launch XMPlayPortable.exe. AAC/ALAC/MP4 support via Media Foundation codecs. Seeking to positions the have not been downloaded yet from HTTP servers. Seeking in complete HLS sequences (not live streams). Last modification time shown in "General" info and track info windows. Built-in support for MP4 tags. RIFF/WAVE character set (CSET chunk) support. Option to close XMPlay at end of queue. "-closequeue" command-line option to close XMPlay at end of queue. Option to shutdown the PC when closing at end of track/queue/list. "-library" command-line option to add files to the library. DSP bypassing shortcut to temporarily disable all DSP. Shortcut to explore a file's folder. Monitored folders can be removed with or without keeping the files in the library. A single confirmation is asked for when using "Remove & delete file" on multiple files. Forced overwriting is now optional when using "Auto-filename" file writing option. Plugin "priority filetypes" settings are honoured when scanning track info (not Winamp plugins). Associated filetypes are no longer all shown as "XMPlay-able" in Windows Explorer. Extended playlist/library window size limit increased to 150 tracks. Force VBlank timing on MOD files option and shortcut. Panning fix for MOD files created with ScreamTracker 3. I used to use WinAmp (over the years became bloated and tool forever to load), then tried Cool Player (good, but not enough features for me). 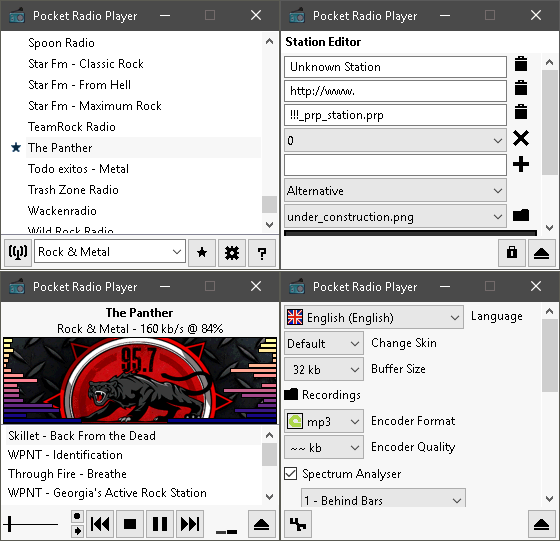 XM Player is the perfect balance - super fast, reliable (so far), flexible, and customizable. J.U.S.T. Perfect! License: Registerware for personal use; a license key must be obtained from DonationCoder (either by donating or by registering in their forums for free) to remove the nag message. How to extract: Download the "portable" ZIP package and extract to a folder of your choice. Launch EasyScreencastRecorder.exe. Can't find what you are looking for? This list shows entries with Audio - Recording as a supplementary function. You can view more entries with Audio - Recording as a primary function.